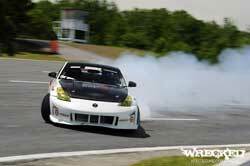 Matt Waldin of West Chester, Pennsylvania has been crowned the Champion of the 2009 Drift Mania Canada Championship (DMCC) after sweeping the series with a podium finish at every round. Matt and his Tuner Icons Nissan 350Z finished the season with two first, two second, and one third place finishes. 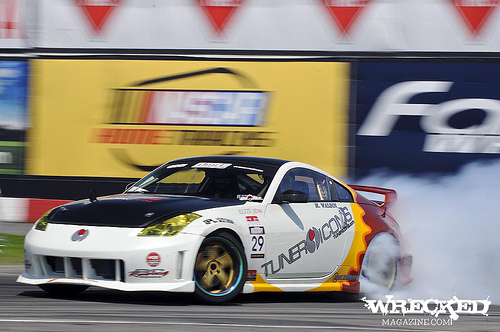 Parallel to K&N drifters Chris Forsberg and Vaughn Gittin Jr., Matt also began his career at Englishtown Raceway in New Jersey, practicing and competing at grassroot events. He worked his way up the ranks and now holds every North American professional drifting license. To find K&N products for your car, truck, small engine, motorcycle, or drifting machine go to KNFilters.com and use the online application search.